Just a quick post to remind everyone of the rare opportunity we have coming up April 25th & 26th. One of the most recognized guitarists in the world, Pepe Romero is being presenting both in master class and concert by William Jenks and the Portland Classic Guitar. I’m honored to say that I’ve been chosen to perform in the master class which will take place on Thursday, April 25th at 7:00 pm at Marylhurst University’s Wiegand Hall. 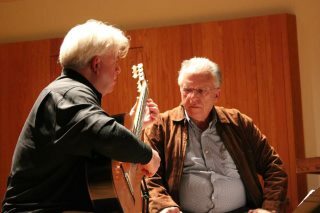 Master Classes taught by such great artists are always a treat – even if you are only a guitar hobbyist or aficionado. You’ll watch five guitarists (yours truly, William Jenks, my new prodigy Michael Hermes, John Huntsman and Frank Armenta) get public lessons from Pepe Romero. Each player will work with the maestro personally and as an ‘auditor’ you’ll get great insight into the artistry, musicianship and pedagogy of a legend. Fascinating stuff! For us performers it’s rather nerve-racking and if you are a student of mine I can’t imagine you won’t want to see me on the hot seat! Cost to audit is $20 and can be purchased at the door or by going to the Portland Classic Guitar. 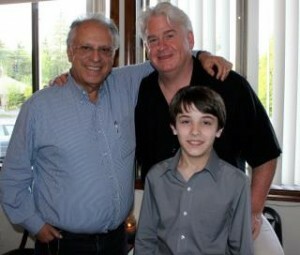 I saw Pepe teach a master class while I was attending the San Francisco Conservatory of Music in the late 1970’s. His warmth and love for the instrument and it’s music were quickly apparent. His graciousness and care for each player made me an instant fan of this great guitar ambassador. And I’m not just saying this because I’m playing in the class (but hey, I won’t mind if he goes easy on me!). Since that moment I always wanted to play for him and thanks to William I get that chance! In one quick lesson the Maestro changed my sound! I was so thankful!! And don’t miss the concert on Friday, April 26th, 2013 at 8:00 PM at the First Congregational Church- folks, these are the types of concerts that just a few years ago we’d have to travel to Seattle or San Francisco for – BRAVO for all the hard work that William Jenks does in bringing us such great talent. Get your tickets in advance by going to the Portland Classic Guitar website. Check out Pepe’s performance of Leyenda! 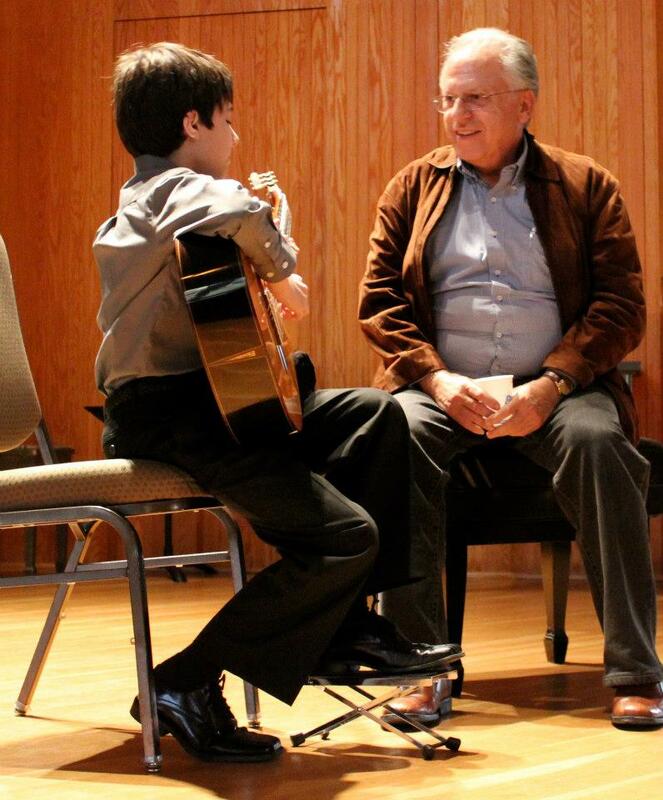 This entry was posted in Concerts and Events and tagged andres segovia master class, classical guitar, classical guitar lessons, guitar concert, guitar workshop, Pepe Romero. Bookmark the permalink. Pepe Romero is indeed one of the great players, and this seems the perfect opportunity to see how he thinks. I’ll be there. 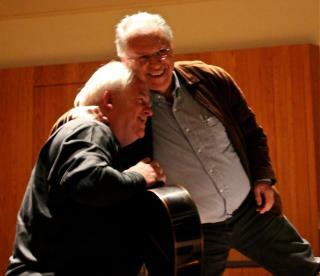 What an amazing concert and master class – it’s hard to think of another guitarist that has been a better ambassdor for the classical guitar than Pepe Romero. His performance was stunning and his insights in the class were spot on.